Slipways in Finland - Sail in Finland! Towing a boat is a great way to explore especially the Finnish lakeland. 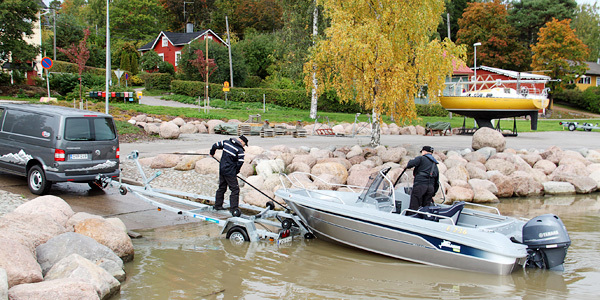 Towing a small boat is a great way to explore the lakes and the coastlines of Finland. To find out more about the rules and regulation for towing a boat, check out this post. To get your boat into and out of the water you obviously also need a slipway, also known as a boat ramp. The good news is the there are literally hundreds of slipways in Finland. The boating magazine Vene has listed over 300 slipways in or adjacent to Finnish marinas and guest harbors. The magazine has kindly allowed Sail in Finland to reproduce this map of the slipways in Finland. The map makes locating the slipways you need a breeze. As you can see from the map, there really is no shortage of slipways. In addition to the listed slipways, there are also lots of smaller and unofficial ones. To locate one of these, just ask the locals! Most of the time, the use of the slipway is free, but check first with the harbor owner. Outside big cities you can typically find free, long term parking somewhere in the close vicinity. Again, check with the harbor owner/manager and they will help you. 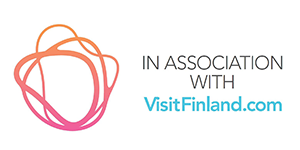 If you click on one of the map icons, the link will take you to the Vene-lehti information page (in Finnish) with some additional information on the marina or harbor.